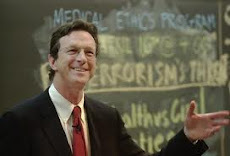 Musings on Michael Crichton: Happy New Year! Sorry for the silence, but I work in a bookstore and retail gets really nuts during the holidays. I’m also recovering from one of those colds that throws you down and stomps on your head. Meanwhile I’ve been reading and pursuing books on pirates and privateers. I should have an “Addition Reading” list for Pirate Latitudes posted soon. This fascinating website has pirate and privateer biographies, plus historical info on many aspects of piracy—weapons, ships, nautical terminology and pirate music.